Thrown away after one day’s use. Each day you wear a brand new sterile pair. Replaced usually after two weeks of day wear only. Some brands, such as Acuvue, allow one week of day AND night wear. Most convenient of all contact lens types. No contact lens solution or lens cases required. 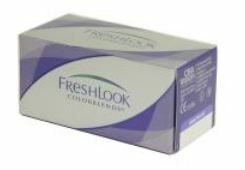 Perhaps the most healthy and clean alternative for your eyes because each pair is new and sterile. You want to change your eye color from time to time, but not on a regular basis. You don’t want to be bothered with cleaning and disinfecting your lenses . You are traveling and need the convenience of daily disposable or you know you’ll be in an area that makes it difficult to store or keep your lenses clean. Not many brand or color options. Expensive if worn every day: around $3 per day. Lenses are replaced after about two weeks of day wear. Some brands can be worn both day and night for one week and then discarded (follow your eye care professional and manufacturer instructions). Lenses come in opaque styles for completely changing the eye color, or translucent styles for enhancing natural eye color. Cost less than dailies: $0.79 to $1.50 per day. You want to change your eye color from time to time, or more regularly, such as during the workweek. You want more color choices than what’s offered with dailies. Must clean lenses nightly if you are on the two-week replacement schedule. 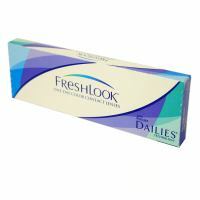 Most cost effective of all contact lens types: around $0.52 per day. Infrequent ordering of lenses means less hassle. 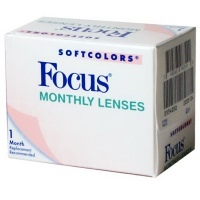 Every thirty days, you replace your lenses with a new pair and each box of six lenses lasts you six months. You don’t mind the cleaning your lenses daily. Limited color and brand selection. 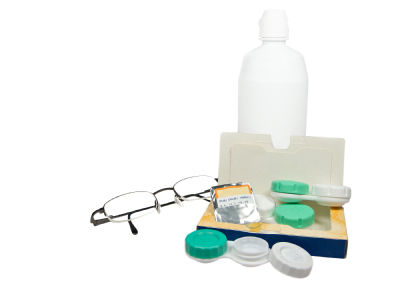 Must clean lenses nightly and keep stored in clean or disinfected lens case. Please note: contact lenses, even if worn for cosmetic reasons, are medical devices that should be worn under the prescription, direction, and supervision of an eye care professional. We strongly recommend you visit to your local optometrist to get your eyes checked and fitted for your disposable colored contact lenses.